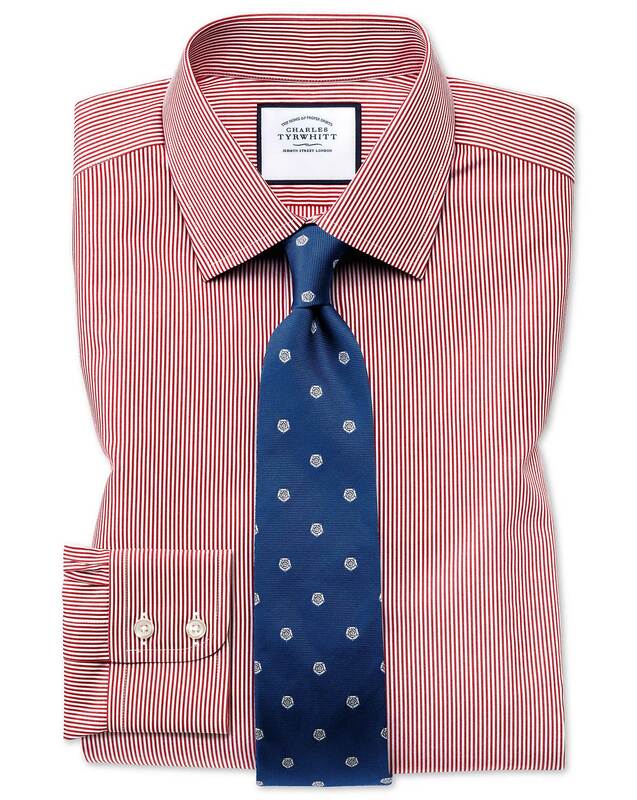 "A Bengal stripe shirt that is serious about its lightweight, breathable and cool credentials. What we like best about this is the non-iron finish - so when you are busy looking terribly clever and professional at work, your shirt is busy staying crease-free and smart. That's what we call teamwork." "Traditional British Bengal stripes for a distinguished look." Ditto with my comments above. Happy. Wife was unsure about picture but loved the actual colour. Quality material with a great fit.